KDT is the resident dance team here at Kean. Additionally, KDT was the first dance team to come to Kean with the help of the late founder William Chaison. They take pride in being Kean's resident dance team. The focus of this organization is to allow its members to express themselves through different performance styles. KDT offers different classes based on different styles of dance. Photo courtesy of Kean Dance Theatre. President Roshorn Shivers said, “The purpose of Kean Dance Theatre is to bring like-minded students who have a strong passion for dance together [so they can] express their love of dance." As previously mentioned, they cover various styles of dance; however, they do not have a limit on what styles they choose to perform. They welcome new styles that a certain member may have expertise in, and allow them to share their knowledge with the rest of the members. The members of KDT at one of their many practices preparing for their performances. KDT wants to show the Kean community that they are open to trying all different types and styles of dance to show that they are well-rounded performers. Shivers said, "When we do different styles, we notice that if members are passionate [and] we see the true emotion that comes behind it. [Also] dance is a way that one person can express themselves." While KDT is a commitment, Shivers and the rest of the organization strongly believe in being involved on campus. 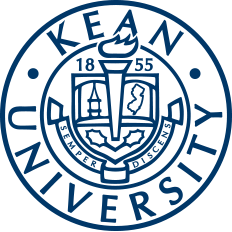 Many of the members are also involved in other student organizations at Kean as well. Ultimately, one of the main goals of KDT is to embody the values of family within the team. It is a space where the members can become themselves and feel welcome. Dance is an act where one can feel very vulnerable; therefore, the members are always there to support one another. One of the many performances of KDT. Photo courtesy of Kean Dance Theatre. KDT takes pride in the performances that they make year round. Some of their biggest performances were at the Montclair State University Showcase and the Roselle Park Arts Festival. Most of their performances transpire on campus at events such as pep rallies, the homecoming halftime show and Kean Dance Marathon. Project Kean: This event is hosted by the Leadership Institute Wednesday, April 10 from 7 to 9 p.m. in the Miron Student Center (MSC) Little Theater. This fashion show is a fundraiser for the Children's Specialized Hospital. Kean Dance Marathon: Greek Senate is hosting this event April 12 from noon - midnight. It is a Dance Marathon that raises funds and supports the Children's Specialized Hospital. 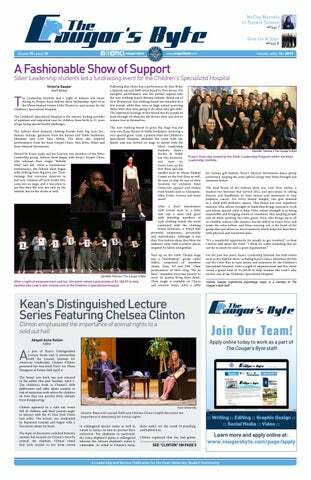 To learn more about Kean Dance Theatre and its events, make sure to check out its Cougar Link and stay alert for upcoming performances.